The world is full of energy, that’s how it moves. There are positive and negative ones and they all affect our mood. 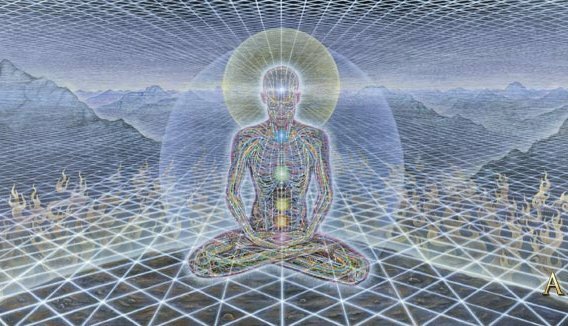 Every being has their own energetic field, which is like a shell that protects us, our vital space, we should have it closed so the things from the outside won’t affect us when they pass nearby. However, because we don’t know it, our shell breaks, it opens up and lets the energy of others blend with ours, making us feel an emotion that does not belong to us necessarily. That’s how we’ve lived all the time, unconscious of this happening. What if now that we have acknowledged it we could fix it? It is easier than one might think, you just have to imagine yourself inside this shell and close it with a simple hand movement, like a door, a zipper, a window, something you do every day without even realizing. Every time you visit a place with lots of people, a hospital, concert, mall, close your field and lock in your own bubble. When you go on the street or your car, in the middle of the traffic, give a smile to a stranger and you will receive one back, this will cheer up your and their day; try to start the change yourself. Fill yourself with positive thoughts and don’t let your mind and ego win with the negative ones, you will see your day and life transform and without noticing you could even change someone else’s life with a kind word. The world spins this way, the energy is connected and something you do transforms everything surrounding it, if you touch someone with your positive energy, they will touch someone too, creating a chain of positivity. It’s important to clean your space, even with family who you love dearly. We all have good and bad days and our home or work place fills with everything that happens to everyone there. In addition to having good thoughts, it’s helpful to light pure copal or incense to clean these spaces. Once you light it, go over the whole place, imagining how it’s being cleaned of any not-so-positive energies, sending them to the light, and replacing them with love, smiles and harmony. Any time you feel out of alignment, close your field and think positive. Be you who starts the change from the inside.